This course is a two-week intensive study of the biology and current technologies used for handling fruits, nuts, vegetables and ornamentals in California. It is designed for research and extension workers, quality control personnel in the produce industry, and business, government or academic professionals interested in current advances in the postharvest technology of horticultural crops. It is particularly of interest to technical professionals responsible for quality assurance, research and extension activities related to fresh produce quality, safety and marketability. The lecture plus field trip option is limited to 50 participants, and the lecture-only option is limited to 45 participants. Enrollment will be handled on a first-paid, first-enrolled basis. The first week (Monday through Friday) is spent on intensive lectures and discussions as well as hands-on laboratory sessions on the UC Davis campus. The optional second week (Monday through Friday) is an extensive field tour covering a wide variety of postharvest operations. Facilities last year included selected packinghouses, cooling and storage facilities, produce distribution centers, field harvest operations, packing, and transportation facilities in various locations in central and coastal California. A prerequisite for attendance on the field tour is attendance at the first week of the short course. The tour’s first stop is in Sacramento, then the bus travels as far south as Bakersfield, continues west towards the Salinas and Monterey area, and then the final stops are in the San Francisco/Oakland area. 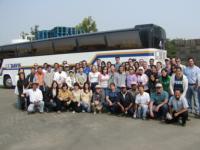 The bus then returns participants to the UC Davis campus. Participants are responsible for their own housing (reservations and payment) during the first week of the course. Davis Lodging Note: In order to ensure adequate lodging for our participants, we have reserved blocks of rooms at the Aggie Inn, Hyatt Place, and the Holiday Inn Express. We encourage you to make your lodging reservations as quickly as possible due to graduation and numerous other activities in the Davis area. Be sure to mention that you are with the "Postharvest Technology Short Course." For more hotel information, visit our Welcome to Davis page. Hotel accommodations for the field tour are pre-arranged by Postharvest Technology Center staff. This additional charge must be paid at the time of enrollment, the amount depends upon whether single or double accommodations are selected. Note: Field tour lodging payments are not refundable after May 18, 2018. At this time, you may discuss sending a substitute. The 1-week enrollment fee ($2400) includes all classroom instruction, lab activities, course materials, morning and afternoon coffee breaks, Monday - Friday lunches, and one networking dinner. The enrollment to the 1-week, lecture-only section is limited to 70 participants. The 2-week enrollment fee ($3350) includes all week one activities, plus field tour transportation and continental breakfasts Monday through Friday during the tour, as well as a networking reception in Visalia on Monday, June 25. Enrollment in the 2-week section of this Short Course is limited to 40 participants. An additional lodging fee is required for 2-week participants. If participating in the week two field tour, please discuss departure plans prior to tour as the week ends in San Francisco. Departure plans can accommodate leaving from San Francisco rather than Sacramento. Enrollments are requested no later than May 17, 2019. Reservations are made on a first-paid, first-enrolled basis. A waiting list will be available for additional registrants. For the 2-week enrollments, a late fee of $100 will be added if registering after May 17, 2019. Applications are being accepted for the 2019 UC Davis Postharvest Technology of Horticultural Crops Short Course Scholarship. The scholarship provides the opportunity for an individual from a developing country to participate in the annual UC Davis Postharvest Technology of Horticultural Crops Short Course and Field Tour June 17 – 28, 2019 to learn about postharvest handling and horticultural crops. For the convenience of our international and business participants, we are pleased to offer an all-inclusive package that includes the course enrollment fee, airport transfers, hotel accommodations and a cash food allowance with packages starting at $5405.00. If you are interested in this limited offer, please contact our enrollment coordinator, Penny Stockdale by May 17, 2019 at 530-752-7672 or pastockdale@ucdavis.edu. A late fee of $100 will be added if registering for an all-inclusive package after May 17, 2019. Refunds, less a $200 processing fee, will be granted if requested no later than May 17, 2019. At that time, you can also discuss sending a substitute. We reserve the right to discontinue, postpone, or combine classes, and to change instructors. Every effort will be made to notify enrollees of any changes or cancellations. Campus Bike Rental. The UC Davis campus is one of the largest in the University of California system (5,300 acres). The UC Davis Bike Barn offers rental bicycles to help speed your navigation around campus. Located in downtown Davis, Ken's Bike & Ski also offers bike rentals on a weekly basis, with extended business hours, including Saturday and Sunday. Internet Access. Postharvest Short Course participants will be provided access to a non-secured campus guest wireless account. The UC Davis campus has a number of wireless hot spots, including the ARC where we'll be meeting the first week, as well as the Segundo Dining Commons, the Memorial Union, and Shields Library. Parking. A valid UC Davis parking permit is required to park on campus. Daily permits may be purchased for $9 at kiosks near the entrance of the parking lot. Please notify the registration coordinator if you will be parking a vehicle on campus during the week of the field tour. Air Travel. The closest airport to Davis is Sacramento International (a 25 minute drive); we encourage the 2-week participants to use this airport as the Field Tour bus completes its route at the UC Davis campus. Beth Mitcham received a Ph.D. in Horticulture from the University of Maryland. She joined the University of California at Davis in 1992, and currently serves as Director of the Postharvest Technology Center and as Associate Director of the Horticulture Collaborative Research Program, promoting horticulture in developing countries. Dr. Mitcham leads an applied and fundamental research program focused on improving the quality of fruit for US consumers and the viability of the California produce industry. She works closely with the fruit industry in California to develop strategies for maintaining postharvest quality of fruit, especially apples, sweet cherries, pears, berries, pomegranates and nut crops.